Přepisy úloh poslechu podzimního didaktického testu 2018 je skvělým studijním materiálem sloužícím pro kontrolu toho, zda jste v poslechu na podzim 2018 u maturity z angličtiny skutečně textu rozuměli. 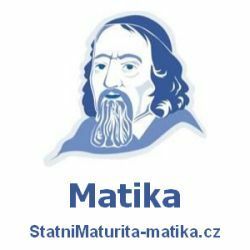 Přepis poslechu také dobře poslouží pro další studium a přípravu k maturitnímu poslechu z AJ v dalších ročnících státní maturity. Doporučujeme si cvičně vyzkoušet co nejvíce poslechů. 1. When did Will and Kathy agree to leave for their holiday? W: So Kathy, when should we leave for Spain on our holiday? I’d like to go on the 8th. K: Isn’t it too early, Will? The weather will still be very hot. I was thinking about mid September, like the 15th. W: But we still have things to do at the end of September, remember? The 15th is too late. Don’t worry about the hot weather, we will be by the sea most of the time anyway. K: Okay. Well, let’s open the laptop and buy our plane tickets. W: So, September the 8th?… Oh, all the tickets on this day are sold out. But there are still some left on the 9th. W: Well, the next available flight is September the 13th, and it’s a non-stop flight. W: But honey, we agreed that the 15th is too late, and the 13th is just two days earlier. K: I guess we’ll have to buy the plane tickets with the change of flights in Germany, so buy those. 2. Which work has the girl not tried yet? Lady: So, you are interested in a summer job. Have you got any experience with working in a shop? Putting the goods on the shelfs? Girl: Well, I used to do that work at my old shop when I was working there last summer, and sometimes when my aunt was busy taking money from the customers, I offered food samples, like cheese and salami to people. What I enjoyed less was cleaning the floor in the shop after closing hours. Lady: I see. So working with people is what suits you best, am I right? Girl: Yes. I would enjoy working behind the cash desk, but I haven’t had a chance to do that yet. Lady: I’m afraid we can’t let you do that work at your age, so offering food samples would be the right choice for you, alright? 3. What does Peter’s school look like? Man: So what does your new school look like, Peter? Peter: Well, when I first saw the school building, I was a bit disappointed by its appearance. Later, our teacher told us something about the building’s history. The school was built as a two-floor building with a high dark roof, but it was damaged during the World War II., when the building was hit by a bomb. The bomb destroyed the roof completely and damaged the floor below it too. Fortunately, the city was able to build the top floor again. So it now has two instead of one. There was also money left to build the original roof, but the city didn’t do that because the style of architecture had changed. So it has a flat roof now, instead of a high one. The only thing people miss nowadays is a bus stop nearby. I don’t mind because my host family drives me there every day. 4. What did Judy buy for her job interview? Hi Jessica, I have a job interview tomorrow, so I went shopping for something nice. You know, to feel good. I was nervous walking through the shops. I’d tried on a few dresses but although the shop assistant insisted I looked great, I didn’t feel good in any of them. Then I tried a couple of pairs of trousers on and I felt much better. I also called my mom from the fitting room, but she didn’t help me much. She thought I should buy a dress. It always looks better on a woman. I didn’t know what to do. In the end I chose a blouse and paid 15 pounds for it. It’s going to match a skirt I have. Anyway, that’s what I’m wearing for the job interview, so wish me luck! Bye. J: Hey Ethan, you don’t look very well. I hope you aren’t ill.
E: Hi Jill. No, I’m just really sick of this weather. Cold, grey, and absolutely no sun. I was watching the weather forecast for the capital this morning and they said that the last sunny day in the city was 6 week ago! J: I was in the countryside last Sunday and it was sunny there. E: Not here in the capital. J: Perhaps you should get out of the city more often then. Why don’t you come with me and my husband to our cottage in Westerham? We made some changes last month. We did not rebuild the whole cottage, just a few rooms. We finished an extra bedroom and rebuilt the living room so we’ve got more than enough space now. J: What’s to know? What exactly do you do here every weekend, anyway? E: Well, a little bit of everything. But last weekend I finally made myself pick up my guitar and practice again. I should probably do that every weekend, not just once a month like now. Weekends like that would make me happy. J: Don’t be silly, Ethan. You play well. Besides, my husband plays the guitar too. I’d always thought he’d loved play for an audience, but I was wrong. He told me playing for other people stresses him. It’s good to know that he loves playing with someone, and not for someone. So wouldn’t that be fun if you two spend some time practicing together? E: Hm, good idea. I prefer playing just for myself, but it would be good to have someone to give me some tips. J: See, you’re going to have fun. And my mother gave me her old piano, so you can play that too. E: Jill, I didn’t know you could play. J: Me? My mother played perfectly. She tried teaching me when I was a kid, but she gave up as I had very little talent and my performances stayed poor ever since. I can only play few short simple songs, but it’s far from perfect. So, Ethan, do you want to join us at the cottage in Westerham next weekend? We’re going there on Friday afternoon, and our car is big enough for all of us. You still live near the train station, don’t you? We could pick you up from there. E: Yeah, but I have to work late this Friday. My boss, mr. Jones, has got an out of town meeting, so I have to stay in the office instead of him. Could I come on Saturday? I can take a bus there, can’t I? J: Well, there is a bus that goes to Westerham village, where we have our cottage. But unfortunately, not at weekends. However, there is a train that can take you to a village about 10km from Westerham, we can pick you up from there! E: Okay, that sounds good. You’re listening to Radio Challenges and today we are introducing the amazing story of Jordan Romero, the youngest person ever to reach the top of Mount Everest. Jordan Romero had climbed all the main high mountains by the age of 12. Mount Everest was the only challenge left. And Jordan climbed it only 2 months before his 14th birthday. Can you believe a 13 year old boy could achieve something like this? Jordan left for Mount Everest with his dad. There were two routes leading to the top, the north and the south route. So they chose the north route instead of the south one, where there was a strict age limit for climbing the mountain at that time. The climb started well, but as they reached the last camp at 27 391ft, the temperature fell far below zero. But the real danger wasn’t the cold. The greatest danger for climbers on Mount Everest is a health problem, called hace, spelled H A C E. What happens is that the climber’s brain stops working properly and the climber might die. Fortunately, Jordan felt fine and was ready for the last section of the route. At 9am on May the 22nd, he finally stood on top of Everest. There were already other climbers there and they were taking pictures of each other. But what Jordan did right after he reached the top of the mountain, was phone his mother. When they heard each other, they were very happy. But not everyone was happy that a child had climbed Mount Everest. Although, the media were exited about how strong and brave he was, doctors thought Jordan’s climb was a great risk for his health. So because they were strongly against Jordan’s climb, every climber younger than 16 years old now needs special permission. And what will Jordan never forget about the climb? He said you’ll soon forget the bad things, like the strong wind and the cold. But what I will never forget is the moon which seemed closer than ever. 21. Why did the man not do the shopping? W: Hi honey, did you get everything on the shopping list? M: Sorry dear, I didn’t do the shopping. W: What happened? You didn’t forget the shopping list, did you? M: Well, it has happened to me so many times before, so this time I saved it as a picture to my phone, which I always carry with me. W: So what then? Did you leave your wallet somewhere again? M: I thought I did. When I got to the supermarket, I couldn’t find it. W: Oh no, you’d left it at work, hadn’t you? M: I thought I had, yes, that’s why I went back to my office. But as soon as I got there, I found out it had been in my pocket the whole time. W: Ha ha, so let me guess. When you finally got to the shop, it wasn’t open anymore. M: That’s exactly the story. Sorry honey, I know you were going to cook a special for me. W: Yes, I was. Well, let me have a look in our fridge to see if there’s enough food to make our dinner with. 22. What is the teacher doing in his talk? Dear students, there are certain unwritten rules that the British follow when talking about the weather. It helps to know that you should always agree with the locals when talking about this topic. It doesn’t matter if it is rainy, windy, or too hot. If somebody says “nice day, isn’t it”, it’s good to answer in a positive way. A good phrase to use is “yes, what a nice day we’re having”, “yes, it’s a lovely day”. Remember such phrases and people will think that you are a polite person. Talking about the weather is a good way to start a conversation in the UK, as the weather often changes. However, if you hear people complaining about the bad weather, it’s polite to agree with them. If someone says “cold, isn’t it?”, and you say “well, actually no”, the people might think that you are not in a good mood for a chat. 23. Why does Harry want to spend a year in Spain? M: Harry, I’ve heard you are going to Spain! Why Spain? H: Well, my dad was sent there last year by his company. I went to see him last summer and I just loved the country. I’ve just finished studying at high school and now it’s time to think about college. I’d like to become a doctor one day, but 6 years of studying is a long time. I’m not sure I’m ready yet. I’d like to enjoy life a bit. Travel, meet new people, I won’t have time for all that once I’m in college. So that’s why I decided to spend 12 months abroad, to rest and forget about textbooks for a while. Spain is the perfect place for me to do that, because I speak the language. Besides, my father helped me find a place to rent there and gave me some money to spend. I’m even planning to find a part-time job to pay him back after I return from Spain. It’s a pity my father won’t be in Spain anymore while I’m there. He has just retired and doesn’t want to go abroad anymore. 24. What happened to Karen’s keys? K: Hi honey, can you come and bring me your house keys, please? I can’t find mine. H: Sure, what happened? Did you leave them at home? K: Maybe. But in the afternoon, I dropped my handbag in the street and everything fell out. H: So, maybe someone passing by took them? K: I’m not sure. I picked everything up quickly, but I couldn’t remember seeing the keys in my handbag later. Then, at work, I was cleaning my desk and throwing things in the bin. What if I put them in there, without knowing it? H: Honey, and isn’t it possible that you left them at your mother’s house in the morning when you went to see her? K: Right! Now I remember putting them on the table there. I’ll call her right away. H: You don’t have to, I’ve already talked to her. She asked me to tell you she had found them in her house. K: Oh, why didn’t you tell me right away?